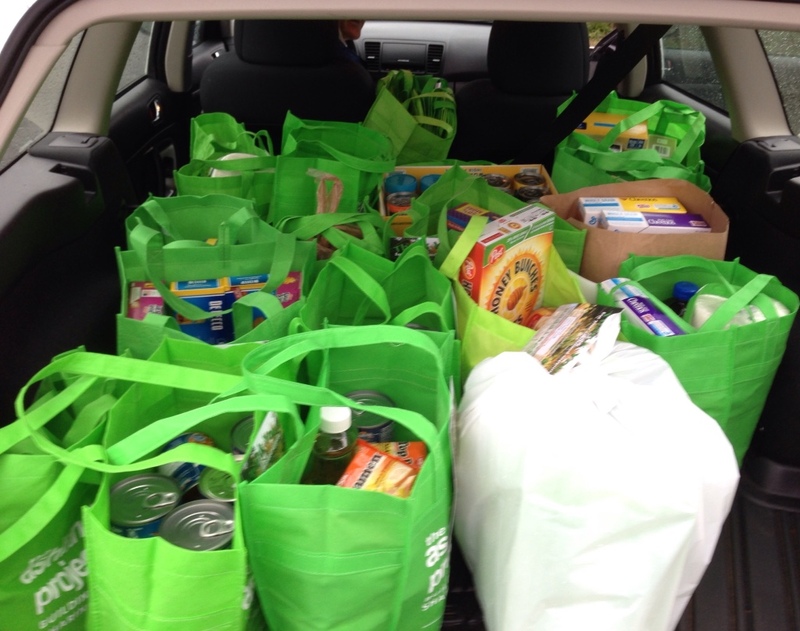 Our car was nearly full this morning, thanks to our neighbors' generosity. 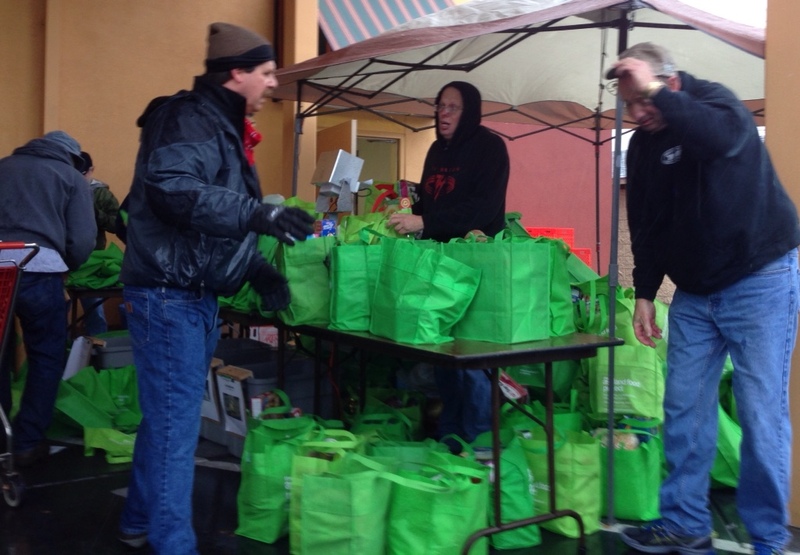 Green bags hold gifts of food and household goods for Ashland folks in need. Every other month, about 170 neighborhood leaders collect bags from homes all over town and take them to the Ashland Emergency Food Bank. We are hoping for 25,000 pounds today. More than 1,300 people get food from the food bank each month. About 38 percent of these are children. Ashland Food Project volunteers unload and sort donations at the food bank. Way to Go Sue & Reg!